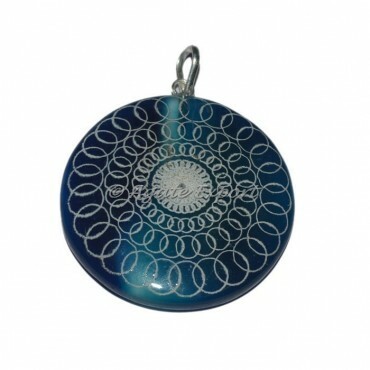 Artistic Round Design Pendant - The design is embossed on a high quality natural gemstone. This pendant can be worn on any occasion and fits any outfit. The engraving on the pendant can be changed as per your choice of logo and design.For any special order contact us directly.